accelerating the next generation of innovative and high performing Australian businesses. Our turnaround practitioners enter with a fresh perspective and act with complete objectivity and integrity. Acting as a 'sounding board' for ongoing risk management advice where management have a strong 'risk appetite' and growth ambitions (including non-executive board appointments). Like doctors in an emergency room, turnaround practitioners make critical decisions and move quickly to staunch the financial bleeding and give patients the best chance for revival and recovery. 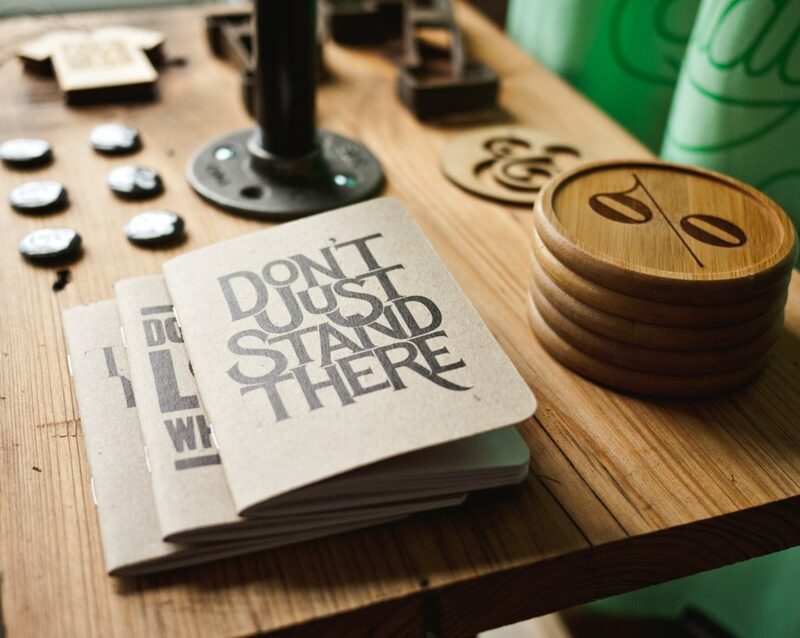 Leadership and change management are fundamental in achieving a successful turnaround. As certified members of the Turnaround Management Association, our practitioners are qualified and experienced in strategic management, accounting & law for turnaround. Upon engagement, solutions are implemented immediately to put in place control measures. 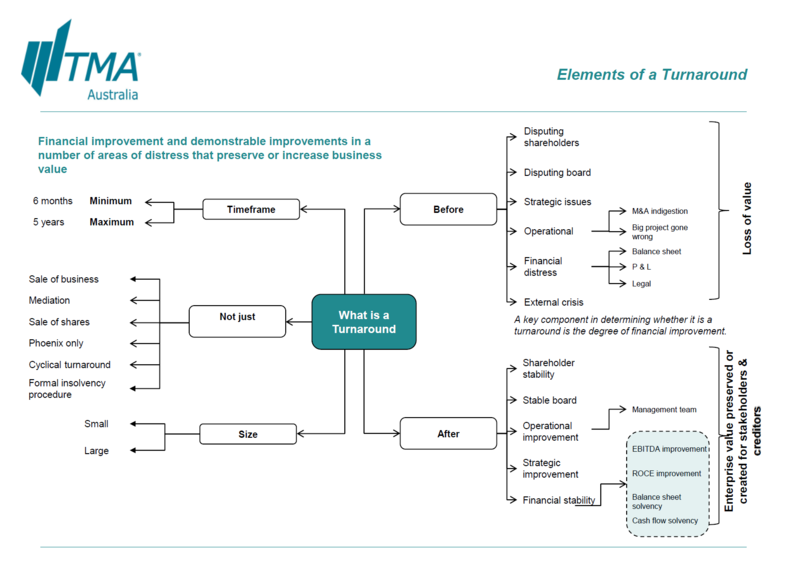 Turnaround Practitioners tailor advice such that it is given from holistic and strategic viewpoint and encompasses multiple potential dimensions of risk. Whilst a turnaround practitioner's experience within a particular industry is important, their experience in making effective and calculated decisions in crisis situations is absolutely paramount. Tapping into management's industry experience and combining this with an external industry expert can often be the ideal solution for building turnaround strategies. The Government has long sought bring about a system to facilitate successful restructures outside of formal insolvency. There has been a strong push towards a change in policy by professional bodies, professionals and the business community for many years. There are just over 1,200 voluntary administrations each year with roughly 1/3 of those entering a deed of company arrangement which may be used to restructure or (more likely) to sell the business or its assets. Empirical research suggests that unsecured creditor returns for deeds of company arrangement are less than 6c in the dollar on a weighted average basis. Jason Harris citing Mark Wellard, ‘A review of Deeds of Company Arrangement’ (2014) 26 Australian Insolvency Journal 12. In December 2015, the government launched the National Innovation and Science Agenda, a landmark new plan to capitalise on the nation's strengths and turn Australia into an innovation leader. The Australian insolvent trading provision encourages directors to put businesses to the sword even where there may be prospects for future prosperity. It is important that struggling businesses are not put to a premature death because of an unwillingness of company directors to expose themselves to personal liability. Jason Harris, "Director liability for insolvent trading: Is the cure worse than the disease? ", 2009, 23 Australian Journal of Corporate Law 266, 286. The earlier help is sought, the more options that are available to help rescue, turnaround or preserve the value of a business. However, the worst thing that can be done is to approach an unqualified, inexperienced and/or uninsured advisor. Unfortunately there are dodgy 'pre-insolvency' advisors that prey on distressed individuals and often recommend illegal business phoenixing. In addition to their 'so-called advice' resulting in dire consequences, the regulators are in the midst of a crackdown to eliminate these advisors and their professional accomplices. However, the doorway is wide open for legitimate business rescue. Directors, officers and owners may now contemplate rescue early in the business cycle (before the crisis becomes a cash flow or compliance issue). Business rescue is a legitimate use of the corporate form and we will work with those in this category to provide education and advice. Brett Martin, Assistant Commissioner Tax Evasion & Crime, ATO (AICM Magazine, December 2017). Remember that cashflow difficulties, financial woes and resultant insolvency are the symptoms of an underlying problem - engage a Turnaround Practitioner early to help treat the root cause and maximise the chances of preserving the business's goodwill, asset values and key employees. If you are in need of advice regarding your business, please contact us ASAP for a free confidential consultation.